The Interislander ferry sails regularly between Wellington and Picton, connecting the North and South island. 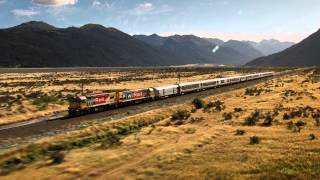 Ranked as one of the top 10 rail journeys in the world by National Geographic, travel through magnificent Southern Alps and the Wild West Coast on the TranzAlpine, running daily between Christchurch and Greymouth. The Coastal Pacific hugs the stunning Kaikoura coastline, famed for its incredible marine life and runs from Christchurch to Picton. Experience the extremes of the central volcanic plateau, sparkling Kapiti coast and Waikato farmland on The Northern Explorer, linking Wellington and Auckland. Sail between Wellington and Picton on the Interislander to enjoy the spectacular Marlborough Sounds.